It should be bedtime for Joe and Ellie, but they have other plans. So much fun to be had, so much mischief to create, there is no way this New Babysitter is going to be able to stop them. She seems to be quite well prepared, with plenty of tactics, but though none of them work to begin with, Joe and Ellie slowly realise they might just have finally met their match. Because the New Babysitter has brought reinforcement , and she is not kidding either. 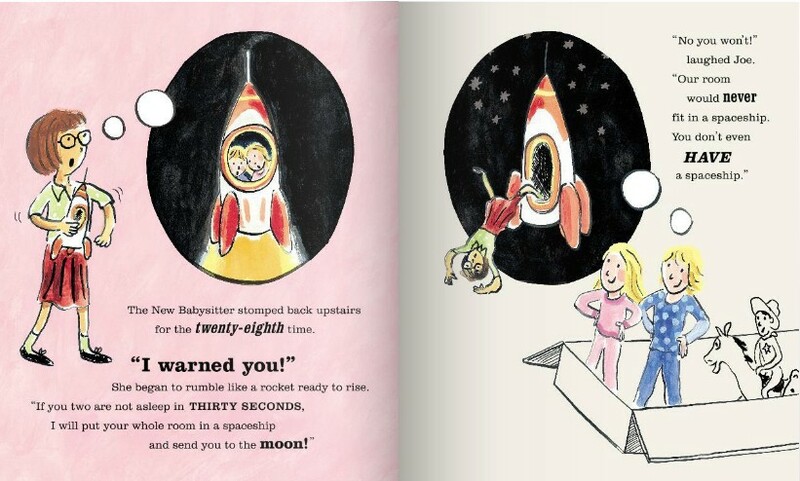 Parents will undoubtedly recognise well-used tricks of the trade when it comes to convincing children to go to bed: going upstairs one million times, cajoling, then threatening, using one empty threat after another. They will wish they had the kind of trick this babysitter has up her sleeves, but more importantly both adult and children will share the delight of the surprising ending. 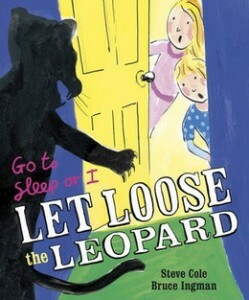 Go To Sleep or I Let Loose the Leopard is wacky and makes light of a routine that cause quite a lot of stress and frustration in households. 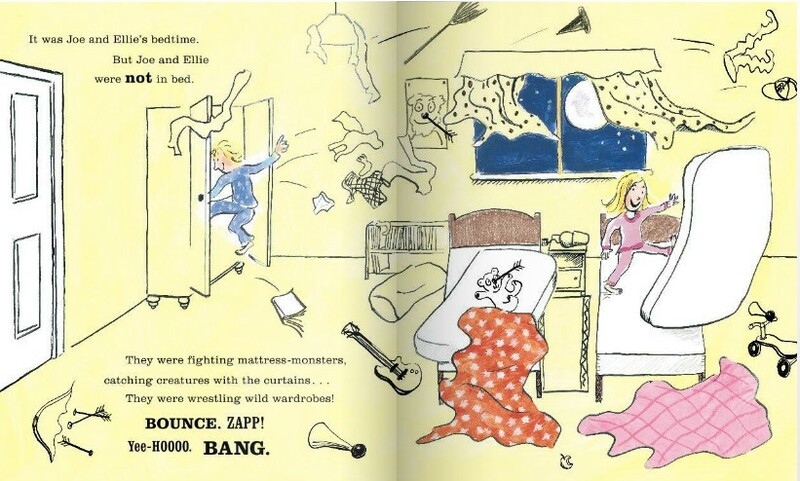 By reading this together, parents and children will hopefully have a good laugh about the situation and enable them to agree on a more harmonious bedtime routine eventually. And if not, they will have at least shared a crazy and imaginative bedtime story, and that’s no bad thing either.